Aristocrats Of HarmonyThe Four Barons are called the "aristocrats of harmony" and are being hailed as Pittsburgh's newest radio sensations. They are appearing every afternoon on a sustaining program over Station WCAE from 5 p.m. to 5:15 p.m. 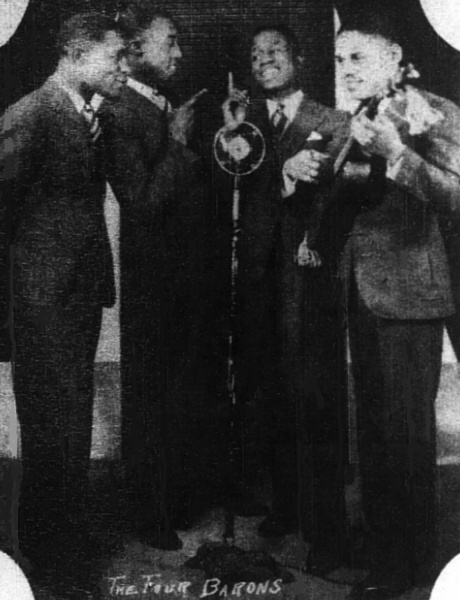 The group includes George Perry, Avery Gilchrist, Bill Thomas, and Cliff Green.